Everyone loves a good souvenir when traveling. 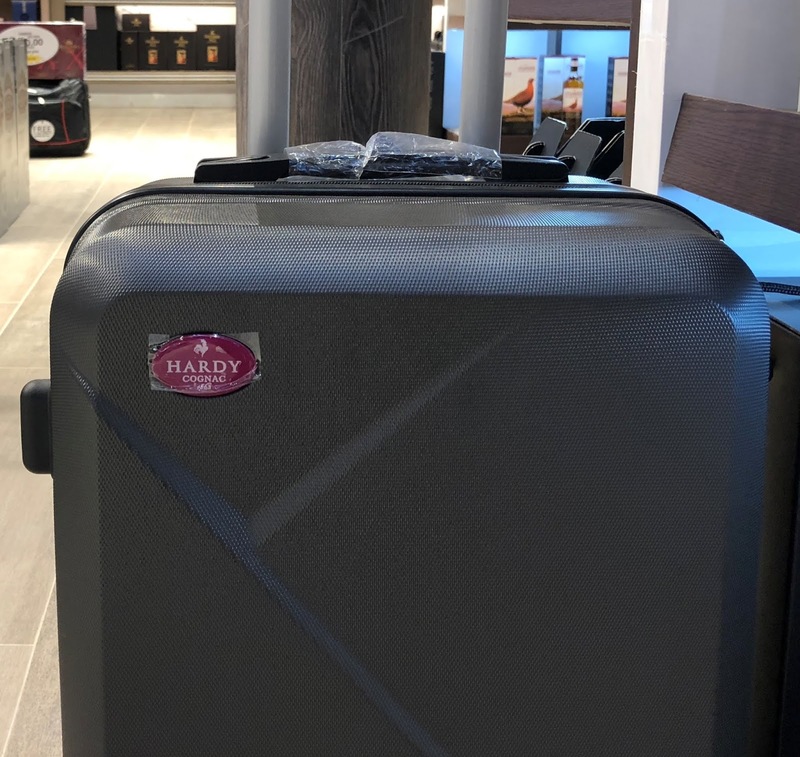 Luckily, our team spots a promotional luggage from Hardy Cognac. This promo gift sits beside Hardy's POS display unit. 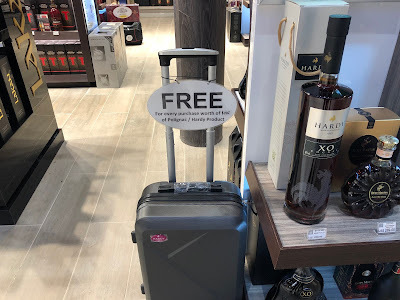 Definitely, this free luggage appeals to travelers, tourists, etc. Therefore, the luggage is an excellent choice for an airport promotion. Why is this Promotional Luggage great for your brand? Choosing the right gift with purchase for your brand can be confusing since it needs thinking and knowing what's best for your brand. On the other hand, if you're having troubles deciding, you can easily contact our team. They can easily answer all your marketing and manufacturing queries. Stimulate sales - gift for purchasing a product entices customers to choose your brand over others. With a personalised luggage, customers purchase your product eagerly knowing that they'll get something big out from the purchase. Attract customers - This is quite relative to stimulating sales. Aside from the freebie, customers would not hesitate purchasing your products at an airport because they know that the luggage provides extra space for it. Therefore, putting this marketing campaign at the airport is great. Customisable - Luggages can easily be customised following your brand's theme. You can embelish it with funky and trendy designs or stick to the minimalist design such as Hardy Cognac's design. Brand exposure - When customers travel using your promo luggage this benefits the brand. Customers unknowingly promote you brand to diverse travelers. Therefore, your brand will be exposed to people all over the globe. Overall, this marketing gift is something very effective that a lot of brands are doing it. Just remember to design your luggage uniquely so it would stand out and catch the attention of the public. Should you want to know more about promotional luggages, please contact us anytime. Our dedicated team is eager to answer all your manufacturing and promotional queries.